The Rally to Restore Sanity in Washington DC this weekend was awesome! I'm too tired to even start writing about it all now, but I'll probably upload all the photos & post a full account in the next day or two. Meanwhile I'll post up a picture from the rally itself- with myself, my brother, and one of the other guys in our group holding our "protest" signs. So, I've been planning on going to Washington DC for The Rally to Restore Sanity with my brother & some of our friends. The hotel rooms have been booked so now it's on! I have been watching The Daily Show since Jon Stewart became host, & I've watched The Colbert Report since the first show. In a weird way, I've always considered their comedic, absurdist outlook on politics & current events to be more credible than the polished facade that characterizes the 24-hour news networks. Organizing a huge event solely to highlight the need for reasonable political discourse was a stroke of genius for this crazy election season. The reactionaries in politics & the media have become so nuts that we actually need to demonstrate that there are still sane people left! Even though society's chaotic multitude of perspectives is what keeps life interesting, too much chaos can tear things apart. 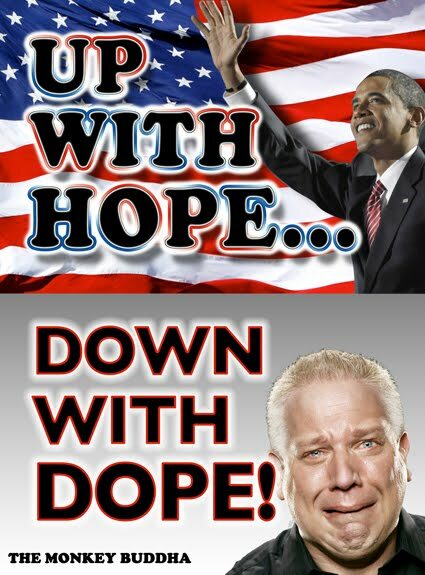 Since I probably won't have a chance to post anything before the rally, I'll share some fun posters I created last weekend that we're getting made into signs. There's definitely going to be alot of people wearing costumes and carrying all kinds of crazy signage. Hopefully it will be a good time, to say the least. There will be a full report if & when I get back. 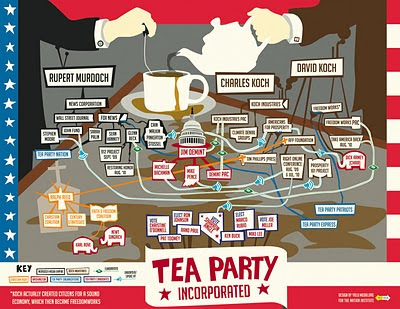 With mid-term elections coming up & all kinds of political freak-shows going on, the Tea Party factions have added another layer of crazy to the traditional electoral madness. As an Independent voter, I have no problem with an alternative political party- even what I may personally consider a misguided "conservative" one! However it's disturbing to see the irrationality & childish hysteria many of these Teabagger candidates display toward anything concerning The Government... or history's most notorious marxist black panther muslim terrorist sympathizer -Chairman Barack Hussein Mao-bama. 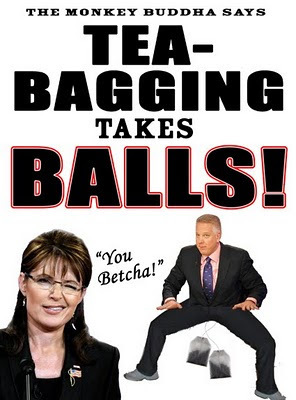 I also came across an excellent list of general Teabagger priorites to reduce Big Bad Government. Of course, reducing our ridiculously bloated Defense budget would be unthinkable. We all know that Jesus loved unrestrained military spending! Tea Partiers Claim Are Unconstitutional"
Despite their tirades against the federal government, these so-called "conservatives" don't openly provide an accurate portrayal of their alternative solution - unregulated corporate power over society. This is the ultimate consequence of their policies, despite the fact that Wall Street & big business clearly abuse their power when not countered by a strong government. It's bizarre that there's even a possibility that the most extreme right-wing ideologues could gain some power back after nearly sinking this country with unfunded mandates, financial de-regulation, and ungodly expensive wars. Reckless conservative policies had 8 loooong years to dismantle the country, and moderates & progressives are supposed to clean it all up in less than 2 yrs! It's so absurd. Although the perception is that it's a grassroots movement, the big money and organization behind the Tea Party movement have come from ultra-wealthy right-wing corporatists & organizations. While lesser known influences like Koch Industries are pouring money into this election cycle, Fox News is the most visible cheerleader for the Teabagger's cause. Like all right-wing agendas, their main objective is to make money. Rupert Murdoch & Roger Ailes are purposely marketing polarizing perspectives to their viewers primarily to enhance their brand... and therefore their profits. Being an avid news consumer, I realize all the news networks do this to some extent, but Fox News is political advocacy on steroids. Even a former Fox personality acknowledged the company is cynically polarizing the American public to financially benefit themselves. The endless stream of bullsh*t flowing through politics & the media who are covering the process is one reason people like me are attending The Rally to Restore Sanity this weekend. It is an expression of the recognition that we are living in an insane world, with the public dialogue being controlled by insane people. Even before the infinite wierdness of the internet, alot of pop culture strangeness manifested through outlets like The Weekly World News. 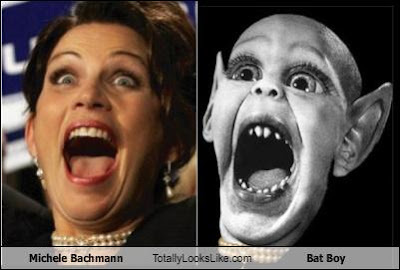 During my teenage years, my favorite story from this wacky black & white tabloid was the infamous Bat Boy!!! This past weekend was a Halloween party I was invited to, but I didn't have a costume ready. I was trying to think of something easy, & cheap. My decision was to go as a Jersey Shore-style guido douchebag. Representing New Jersey to the fullest! This week at work, I finished an excellent book that I started during my week in Cape May during the summer. 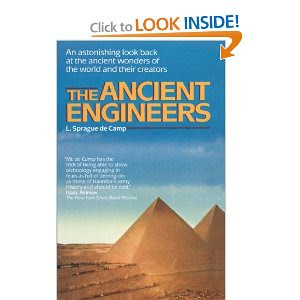 It's called "The Ancient Engineers" by L. Sprague de Camp & was surprisingly engaging. I absolutely love the subject, but the particular way the de Camp explored the major civilizations of the ancient world is effectively humanizing. It was able to mentally put me not just into those cultures, but also the individual circumstances that spurred their technological innovations. I took a few semesters of engineering in college before I switched to design, and still truly enjoy studying the classical craftsmanship that brilliantly combined art & engineering. What de Camp does so skillfully is weaving man's sporadic instances of invention throughout history into a detailed timeline highlighting man's unique persistence of progress. After wasting my mind on the useless drivel of Plato's Republic earlier in the summer, it was refreshing to read something that really inspired my imagination & sense of perspective. It's funny, when my Dad recently asked me about my thoughts on the possibility of aliens, he also wanted to know what I thought about the idea that humans had help building the pyramids from alien intelligence. He knows I am familiar with all kinds of crazy theories... but I don't necessarily believe any of them. After studying the abilities of ancient craftsman, it's hard for me not to accept the ingenuity of the human intellect, which was as competent back then as it is now. These people on shows like "Ancient Aliens" who refuse to believe humans could have possibly created these wondrous things are jackasses. Is it possible that intelligent life from other places may exist & have contacted humans throughout history? Perhaps. Even if that were the case, it's no reason to dismiss man's ability to innovate & create amazing things. There was recently a show on the History channel about the Roman emperors & their public works projects. The first episode of NOVA this season was about the building of the Parthenon. It's amazing how much information we are pulling out of these ruined structures with modern investigative techniques. This show was very interesting & gave alot of insight into the methods of the Greek architects & stonemasons. Also from NOVA was a jump in time forward to the medieval age in Europe. They take a thorough look at the construction & purpose of the gothic cathedrals. Interestingly, despite our modern use of the word "gothic" to describe dark, vampire-like style, the term was originally a reference to the germanic tribe of Goths, who were considered to be 'barbarians' by Rome. The critics of these soaring cathedrals used the term to derisively describe the strange architecture. Finally, the other night I was switching between watching the Phillies playoff game & an episode of one of my favorite series of all time: Engineering an Empire. The episode was about the monumental achievements of the Egyptian empire that lasted thousands of years & continues to instill wonder into people like myself. I was just flipping through channels & Comedy Central had on Jon Stewart's telethon for autism. At one point, they were showing the panel with dozens of celebrities taking pledge phone calls. 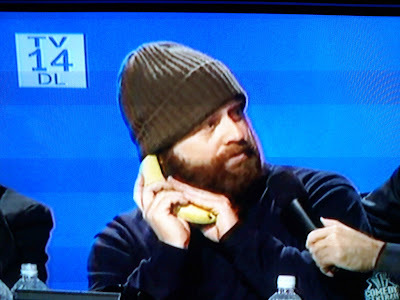 I noticed madman Zach Galifianakis holding a banana up to his ear in the background. Eventually Jon Stewart noticed & asked him if he was having an interesting conversation. It's crazy for people to have monkeys as pets. I think my Mom said my aunt used to have a monkey of some kind at their house. Someone in Kansas had a 300 lb. pet chimp that got loose recently & smashed a police cruiser's windshield. Instead of monkey police, this was a monkey going rogue. The chimp is reportedly now in a zoo after the owner was cited. Starts New Life at Zoo"
I can imagine being a wild animal confined & controlled by humans against their will, which makes it understandable why these animals go.... ape-sh*t.
As with all bizarre things that amuse me, I had to look into this further. The old lady pretending to be a space princess is Ruth Norman aka Uriel of Unarians, who sadly passed away in 1993. We could only wish our time was as "progressive & positive" as she predicted. I'd much rather have any visiting alien life resemble her vision of luminous benevolent beings, instead of reptilian overlords or killer microbes...not that I'd have a choice. My Dad, a fan of the classic Star Trek series, recently asked me if I thought there were aliens. My response began with the usual disclaimer: I really don't know... but my guess would be there has to be life out in the vast Universe. 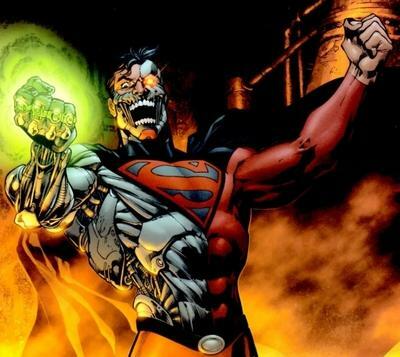 However, until I see some astonishing proof I'll admit it's speculation. If anything, higher beings would probably view Earth like a giant zoo or safari to visit & observe. The interesting thing is that if there is life elsewhere, that can possibly be proven one day, regardless of how far off. If, however, Earth is alone in the universe by some unfathomably cruel twist of reality, then human existence will forever be an infinite journey of unfulfilled searching. At least we can make & watch crazy videos while we're at it! I was looking at a Western Civilization textbook earlier. I found it at my parent's house & probably belonged to one of my siblings. Despite my tendency to pick up a reference book to randomly look through, it got me thinking how student textbooks are becoming unnecessary in the world of the iPad & mobile devices. Out of curiosity, I looked up the cost of textbooks & it seems the average cost of college books is $900 per year. 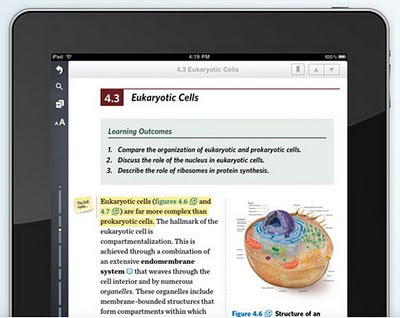 Why not save some trees & enter the future by supplying all students in grade school & college with iPads which can be loaded with textbook material? It has to be more cost effective & eco-friendly. The publishers can still create content in digital form, but the textbook business will inevitably be affected like many industries during times of rapid change. I'm already thinking about all kinds of problems & issues with their use, but I think such devices as touchscreen computers are going to be the primary learning tools for the near future. Of course, once the iThink is produced, "learning" will consist of instantly streaming the information directly to your consciousness. By then, e-mans (enhanced humans) will probably consider the idea of "reading" to be unbearably slow & archaic- like we currently think of writing letters by hand in cursive. Legendary mathematician Benoit Mandlebrot passed away this past week. I don't enjoy math at all & have a general aversion to numbers, but fractals are one area that I've always found endlessly fascinating. This is probably due to the visual aesthetic that results from translating these self-repeating formulas in to graphic form. It is a unique merger of art & math that hints at the very nature of reality. This week's South Park was one of the funniest ones ever. Maybe I'm partial because I live in the crazy state that was the focus of their scorn, The Armpit of America™, New Jersey. I'll admit actually like Jersey because of the location- within a few hours of NYC & DC and I'm a half hour from Philly & AC. It's an interesting place because it has both the best & the very worst from all cultural backgrounds and walks of life. This episode bashed all of those ridiculous NJ-based reality shows- but MTV's "The Jersey Shore" & the knuckleheads who emulate those clowns were given absolutely no mercy. The 'Snooki' sighting especially had me laughing out loud uncontrollably. "Snooki want Smoosh-Smoosh," (spoken in a goblin voice) is now a permanent part of the American lexicon. Since I'm on the topic of my beloved home state, I'll also post this embarrassingly insane video I saw of Wildwood "gahbage" from the 80's. "Google Cars Drive Themselves, in Traffic"
I've envisioned the implications of this for awhile, because it's inevitable that one day you will be able to relax on a car ride- like you were riding in the back of a limo. Cars will eventually be designed as lounge spaces instead of operated machinery. You will be able to get in the car & read, talk on the phone, browse the Web, eat, sleep, whatever- as the car drives itself to your destination. I'd imagine manual controls would be there as backup, but most driving will be routinely automated. The most valuable lesson my Dad taught me when I was learning to drive was "remember everyone else on the road is an a-hole ." 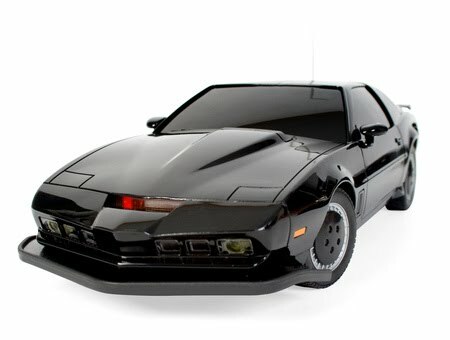 Having barely defied death & injury behind the wheel a dozen times, robot cars with precision navigation systems would seem like a positive development. Hopefully, though, there will still be some kind of niche for people who make their living as truckers & cab drivers if robo-cars becomes the norm. The other day my friend Dan, who's an art teacher, sent me a design-related article. It was about the recent change The Gap retail stores quietly made to their company logo. The consensus among us (& the world it seems) was that the new logo sucked tremendously. I saw a comment that accurately observed that it went from an iconic, recognizable brand - to something that looked like something thrown together in an old version of Microsoft Office. I don't know why some companies feel they need to change things for the sake of changing it. It's funny how 2 elements arranged slightly differently can have such a dramatic visual effect. Thanks to the instant feedback available from The Internet, they did a quick 180º turn back to the old logo. Another recent logo redesign in the "Why bother?" category is the new wacky logo for the social wasteland known as Myspace.com. I made a Monkey Buddha page on Myspace before Facebook became the dominant force. Now, I basically use Myspace just to upload animated GIFs, which Blogger doesn't allow. "MySpace Unveils New, Artsy Log"
It's actually an interesting concept & definitely more inspired than The GAP failure. The problem is that under the direction of Rupert Murdoch's News Corp, it seems Myspace has lost the edge in the social media game. Judging from the Google News feed it seems like people don't even care enough about it to comment. Admittedly, the new logo does playfully represent the customizable features of Myspace that's been it's biggest unexploited strength against the bland user interface of Facebook. Regardless, I don't think Myspace can even come close to overtaking Facebook in the foreseeable future. Finally in questionable branding, there is MSNBC's new tagline "Lean Forward". 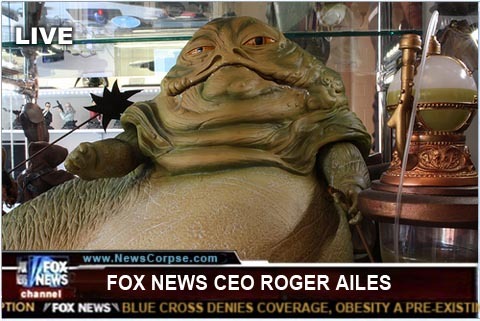 Although it is not as laughable as Fox New's obviously untrue "Fair & Balanced," it's definitely an awkward choice. The other day I wrote a caption under the fictional pic of "President" Sarah Palin in which she dreams of nuclear war w/ Iran. Surprise!- It turns out she's already marching into that battle... inside her head. God is her General, and her only armor is impenetrable ignorance. Like we don't have enough practical problems in society without having to worry about all the lunatics expecting some kind of spiritual holy war. A Monkey Buddha does not have to worry about such nonsense because it's nonsense. Last week I watching a documentary on PBS about the "Pentagon Papers" episode that took place in the 1970's. To hear the logic, or lack thereof, that has gone into such important matters is unsettling. Nixon's cavalier attitude toward nuking a country shows just how crazy you have to be to be a political leader, and especially a head of state. You are often faced with impossible decisions that require you to cast aside your humanistic tendencies for the "greater good". It's no wonder that so many of the world's leaders have been nuts. Coincidentally, the other day in the basement of the place I live I found a couple of magazines from the 70's. 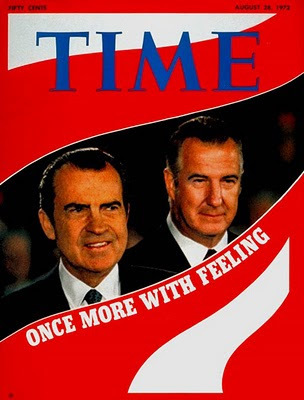 One was a Time issue from 1971 w/ Nixon on the cover, running for re-election. "THE CAMPAIGN : The Coronation of King Richard"
I actually read the articles & cover story about the campaigns of Nixon & McGovern. I'm familiar with political trends in recent history, but it's still crazy to see all the same ideological divisions & arguments that are still going on today. It's even crazier to read about the Nixon Administration's grand plans for a 2nd term - before the Watergate Scandal rocked the nation & the Nixon Presidency. "Should I change into prettier shoes before I nuke Iran?!? 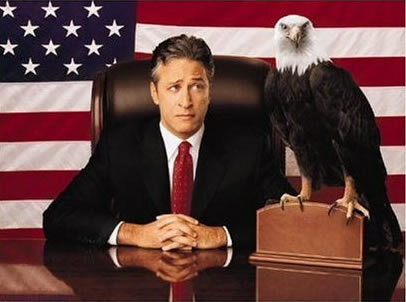 I thought this was a great look behind the scenes at The Daily Show w Jon Stewart. 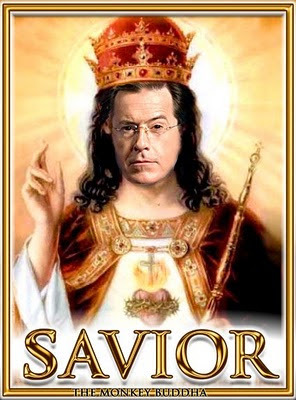 The value of this show to me personally for providing political laughs over the years is priceless. Anyone who thought having a new President who is coherent & not a bumbling jackass would leave a void in the comedy world was obviously wrong. There is still plenty of madness in the world to mock, & that will likely be the case for the foreseeable future. 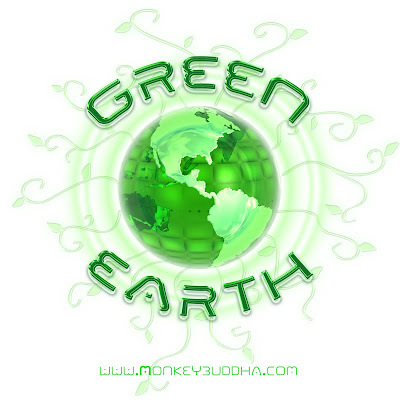 I found an excellent example of the type of 'green' eco-friendly packaging solutions that I mentioned in my last post. On Disinfo I saw a video demonstrating the use of fungus mycelia to grow a dense packing material. Low-tech organic processes like this are the future of materials science & will allow us to leave a less harmful legacy on the planet. Perhaps Terence McKenna was right about The Archaic Revival- the idea that our journey into the future is going to partly be an exploration of our primitive cultural & ecological roots (no mycelial pun intended). Usually for lunch I eat sandwiches & chips, & Sun Chips are one of the brands I buy. I thought they had a really great initiative in using biodegradable bags made from plant products. Non-renewable packaging is a source of tremendous waste in our society. It's also something that can should be easily solvable given the many advancements in biodegradable materials & sustainable packaging. For instance, styrofoam should be outlawed & replaced with organic mushroom fiber fillers! 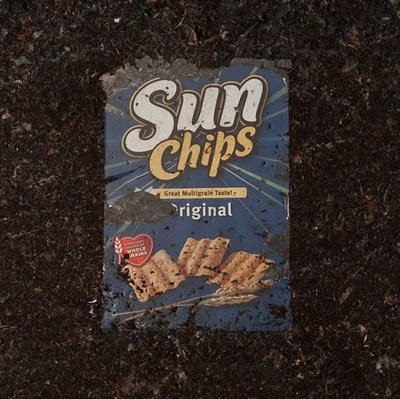 Unfortunately, the 'green' SunChips bags were unusually loud when they were crinkled or folded. Although it didn't bother me enough to stop buying them, apparently Frito Lay has stopped shipping them. "Frito Lay Withdraws Eco SunChips Bags"
They are working on a quieter bag still made from eco-friendly materials, which is encouraging. I think people are going to wake up soon & re-think all the materials that we use for different applications. "The Carton of the Future"
One more shark-related item while I'm thinking about it. 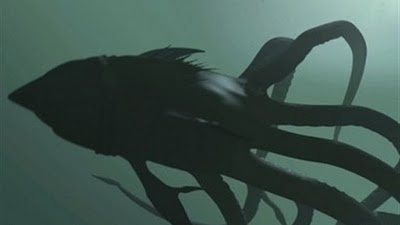 A couple weeks ago I was watching TV w/ a friend & turned on the Syfy channel featuring a ridiculous movie that was irresistibly named "Sharktopus". a half-shark, half-octopus creature terrorizing humans. 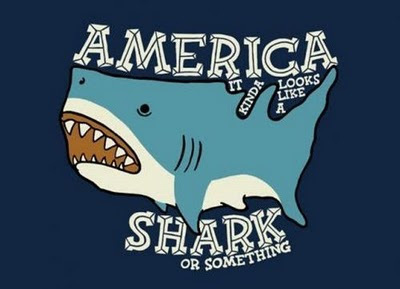 America Looks Like a Shark! I don't know why I found this so amusing... 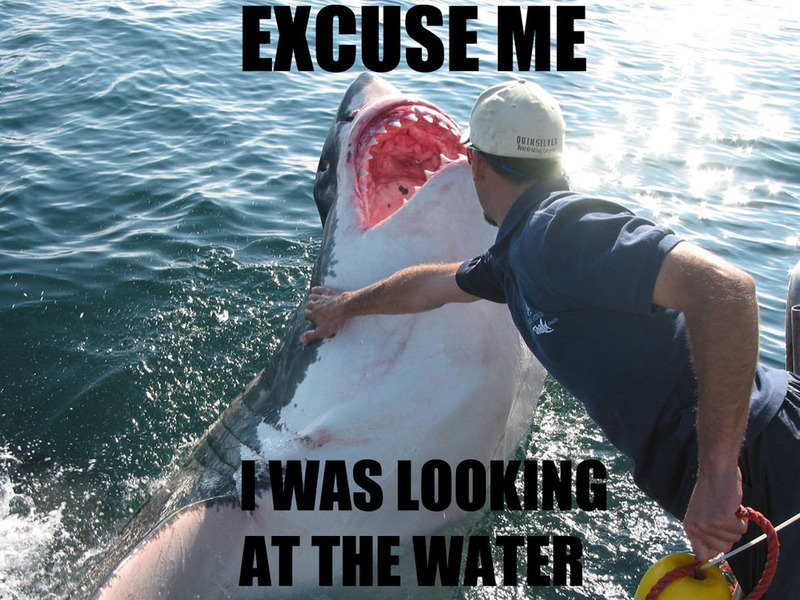 I guess anything with sharks is cool. 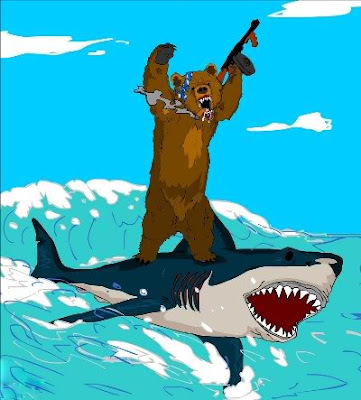 The graphic below was on The Chive, which never credits anything. Thanks to Google, here's the product page featured on Threadless. He's such a dork, but his rhetoric seems to be really causing people to become unhinged over The Long-Legged Mack Daddy & that nefarious social institution known as "Government". Beck uses hyperbole & loose speculations to muddy the waters in the face of serious policy issues. 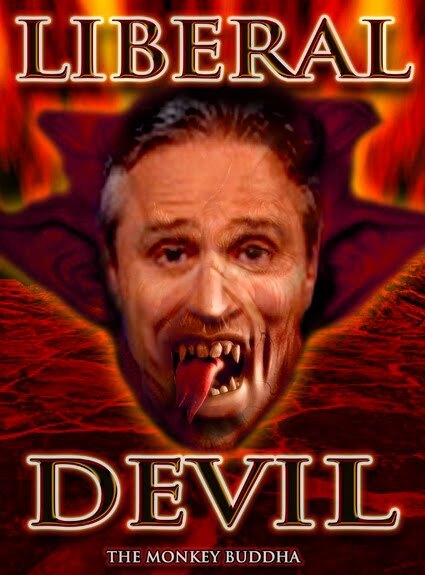 Of course, he tries to be sensational for ratings, but his 'zeal' could possibly cause violent action by ignorant or unstable people. This video mash-up i saw on hufpo.com is pretty amusing. Donald Duck allows his emotions to be controlled by the unbearably melodramatic 'entertainer'. Since I mentioned Glenn Beck's conspiratorial mindset in my last post, it reminded me of this interesting list I read. Since I was young, mysterious things always caught my attention. However, I am a healthy balance of skeptical & open-minded. I try to recognize even the craziest possibilities in life, but I also require convincing evidence to be truly persuaded about something extraordinary. Conspiracy theories are one of man's oldest pastimes. Since people cannot have the omnipotence required to see or understand everything that happens in society, circumstantial narratives trying to explain it all are always going to emerge. Despite my detached approach to any information that is of a conspiratorial nature, the world is a crazy place- therefore crazy situations are more commonplace than one might think. The many types of "conspiracy theories" out there can't all be true, but that doesn't mean there are no real conspiracies taking place! With recent news about the FBI investigating peace activists & the U.S. government having to apologize for secretly infecting Guatemalans with STD's in the 40s, this stuff shouldn't be shocking anymore. What Every Person Should Know..."